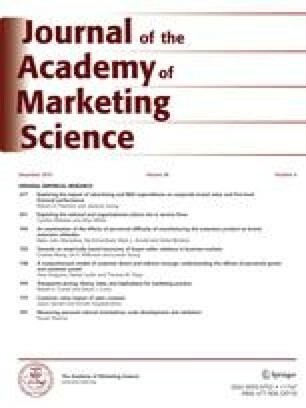 Using representative samples of U.S. and Japanese retail service firms, this study explores whether one particular type of organizational culture is the best with respect to business outcomes (performance and customer satisfaction) or whether the optimum culture depends on the national context in which the firm is embedded. The findings suggest that there is a significant interaction effect of organizational culture with national culture on outcomes. Specifically, the relationships between the importance placed on the cultural values of stability, people orientation, and detail orientation and outcomes are significantly greater for Japanese than for U.S. service retailers. On the other hand, the relationships between the values of aggressiveness, innovation, and outcome orientation and outcomes are greater for U.S. retailers. Further, the findings show that firms whose cultures match those of their home countries exhibit lower levels of outcomes when they operate in other countries with different cultural values. Implications are given for how service retailers might be designed and managed for purposes of improving business outcomes.